It didn’t take me long to find an Italian beef on our most recent trip to Chicago, but the rest of my family doesn’t really like the foods that I like. A lot of times I have to make two or three stops to get food for everyone. I get the beef I want. The kids get what they want. J gets what she wants. Everyone is happy. I asked L what she wanted for lunch before I headed out. I was assuming she was going to say a grilled cheese or McDonalds. I figured I could find either along the way. She surprised me and said pizza. I really didn’t know what I was going to do. Sure, I passed a lot of pizza places, but I just needed something for L and she wasn’t going to eat a whole pizza by herself. I took Pulaski north into the city from Oak Lawn to find my Italian beef. To my surprise, I passed a pizza by the slice place and I would have to pass it again on my way home. My pizza dilemma with L was solved. 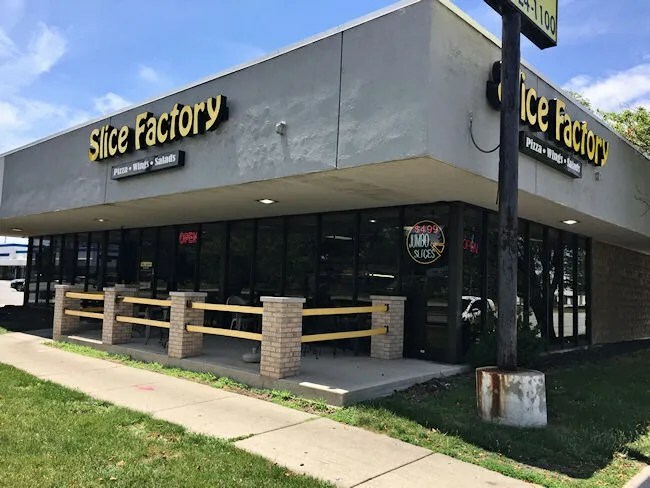 Slice Factory is a small Chicago chain with eight locations (including one in Champaign, IL near the University of Illinois at Champaign-Urbana). 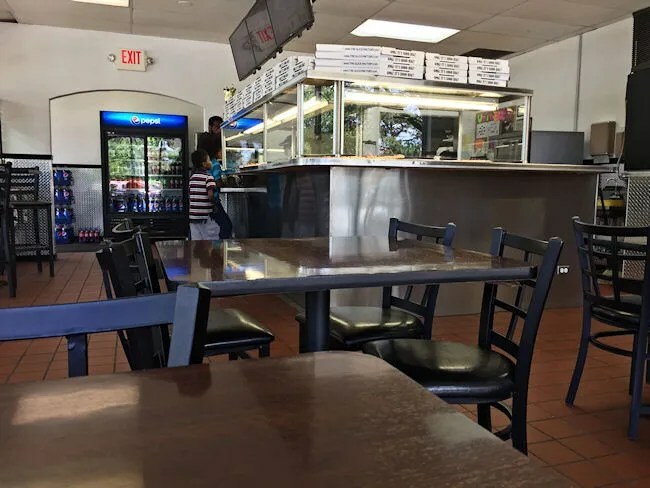 The Oak Lawn location sits near the intersection of South Pulaski Road and 96th Street just a few blocks south of the very busy Pulaski and 95th Street intersection. 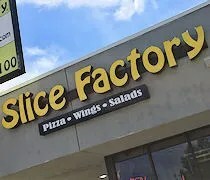 Slice Factory has been on this corner since at least 2014. Before that, it was also a pizza place known as Bacci. That name is familiar to me. We had one of those in Peoria, IL for a while when I lived there. The concept of Bacci and Slice Factory are the same. 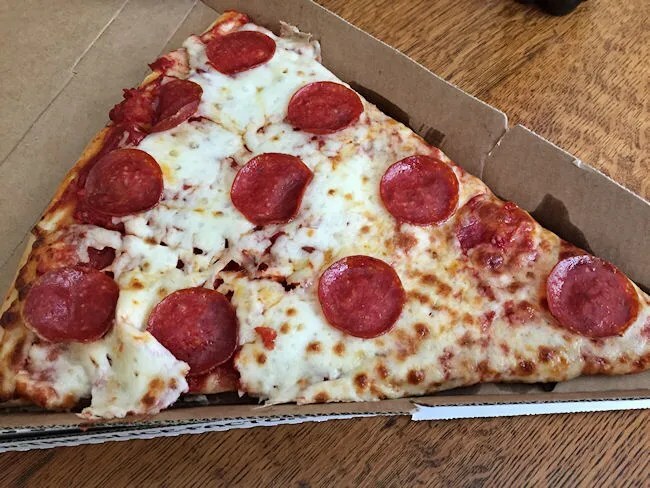 Jumbo slices. Slice Factory is set up like a New York slice place. There are a number of unusually large pizzas on display underneath warming lamps. 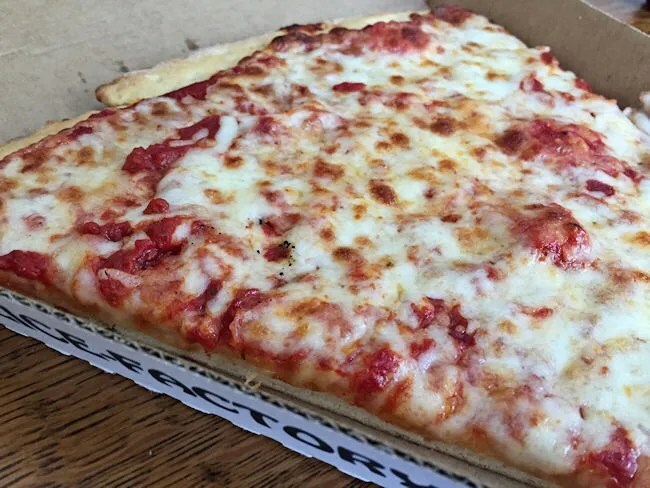 When an order is placed, a slice of the requested pizza is taken out from underneath the warming lamp and placed in to an oven to heat back up. I decided to get two slices. I got a pepperoni for J and a cheese for B. They both could have easily shared one slice, but B doesn’t like pepperoni and L will get mad if I get her just cheese. The slices are $5 each and they really could feed a couple of adults. I knew pizza wouldn’t go to waste so I got them each one. I added on a bottle of Pepsi and paid the $13 with my card then took a seat in the dining room to wait for my name to be called. Slice Factory has a large eat-in area that looks like the typical fast food place. They had a couple of TV’s on the wall turned to ESPN and there were a few people sitting around me enjoying not only huge slices of pizza, but chicken wings as well. It took about five minutes for my name to be called. I was handed two large triangle shaped boxes each containing a slice of pizza. I grabbed the boxes as well as my drink and headed back to my in-laws. L was amazed by the size of the pizza when I set it down in front of her. B could just see that it was pizza and really wanted to get his hands on it. The slices both came out pretty hot so we had to keep the kids back to let them cool down a bit. I cut L’s slice of pepperoni into more manageable pieces first. This also helped with the cool down process. The pizza has a pretty thin crust that is meant to be folded over like a New York slice. There weren’t a lot of pepperoni’s on the slice, but enough to make it a little spicy. The thing we noticed with both slices is that there is a lot of sauce. It was too much for the kids to handle and J started getting frustrated because both kids were dripping sauce on to their clothes and on to their skin. We tried taking the cheese off and having them eat it in two separate pieces, but what fun is that. They both wanted the cheese back on to eat it like a normal person. I took a few bites of L’s slice and J’s mom took a few bites of B’s. We both agreed it was pretty good pizza for what it is. There is a lot of sauce which made it not so great for the kids, but for someone with a little more control over their eating mechanics, it’s a solid slice of pizza. Slice Factory is the type of place you don’t see much in Chicago. In New York, slice places are on every corner, but Chicago doesn’t really do this kind of pizza. 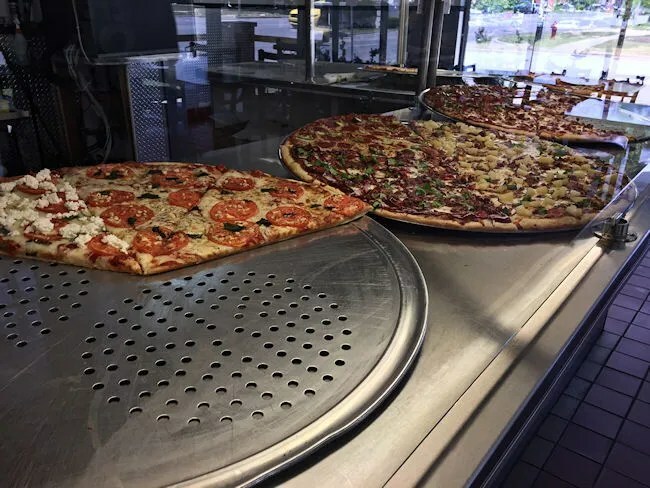 Options are always a good thing and having someplace to pick up a slice of pizza that is quick but also really filling is a good place to have nearby.